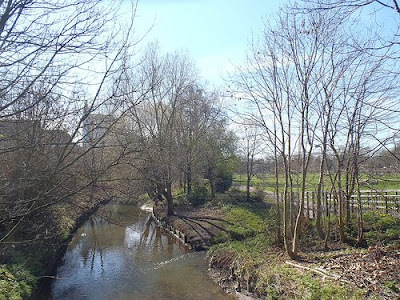 It may be a bit colder this week, but if you wrap up warm it's still pleasant out, so if you can find the time, it could be a good opportunity for a wander in Ladywell Fields, a hidden treasure of South East London, where parkland meanders alongside the Ravensbourne River. Forming an integral part of the South East London Waterlink Way, a riverside walking and cycling route which cuts through eight miles of South East London, Ladywell Fields was refurbished between 2006 and 2011, when the park formally reopened after river cleaning, and improvement works. That looks like a lovely little park indeed.